Put yourself in your potential customers’ shoes: everything they know about the product is represented by an image and a few descriptive lines, they are not able to verify personally the details, or to ask for further information to a salesperson as it would be in a real shop. How many questions would they ask before clicking on the purchasing button, and how frustrated are they purchasing blindly! The more your customers’ need to get further details on your products is satisfied, the more the conversions of your e-commerce will be. 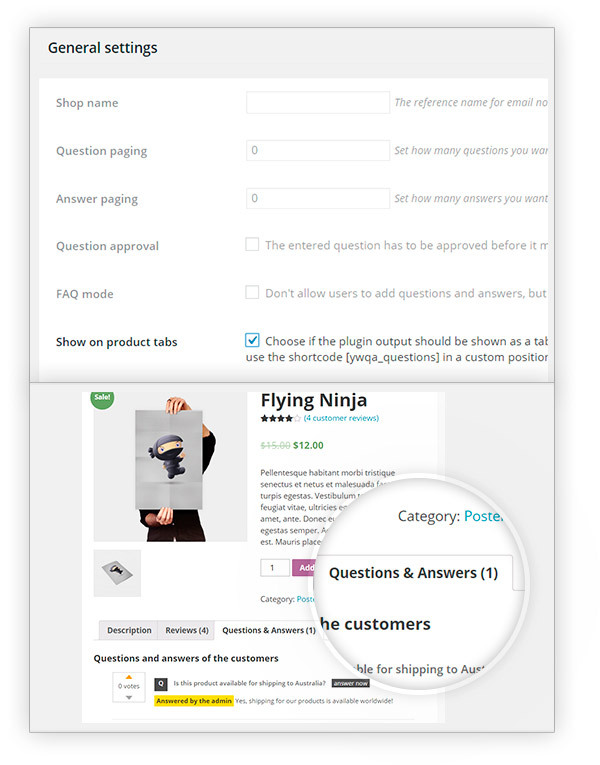 YITH WooCommerce Questions And Answers lets you give a positive answer to all doubts that may prevent your customers to purchase products: you can use the plugin to create an FAQ section in every product detail page, and add independently the most frequent questions and answers. 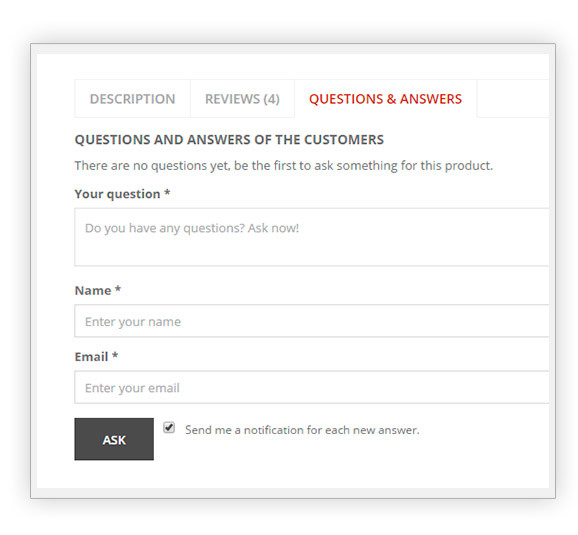 In the same way, your customers will be able to write their questions easily and quickly, and wait for you — or maybe a customer that has already purchased that particular product — to give them all the information they need. 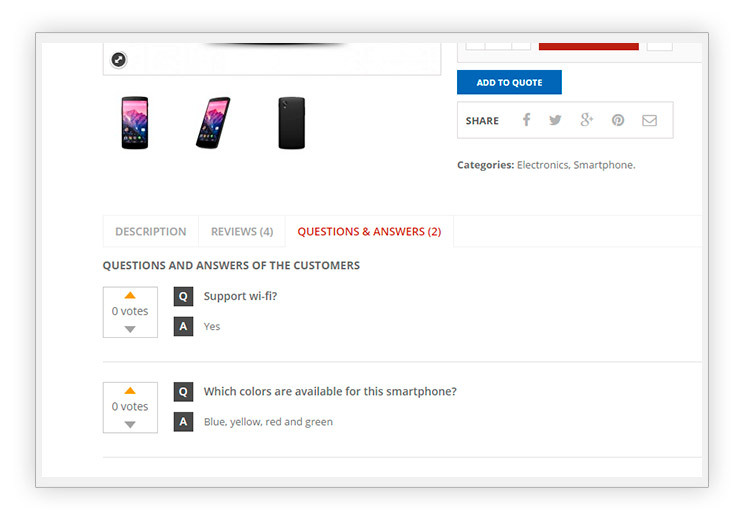 Thanks to YITH WooCommerce Questions And Answers, you will be free to establish a direct line with your potential customers, and reassure them toward the purchase: a true marketing tool that your shop cannot miss. 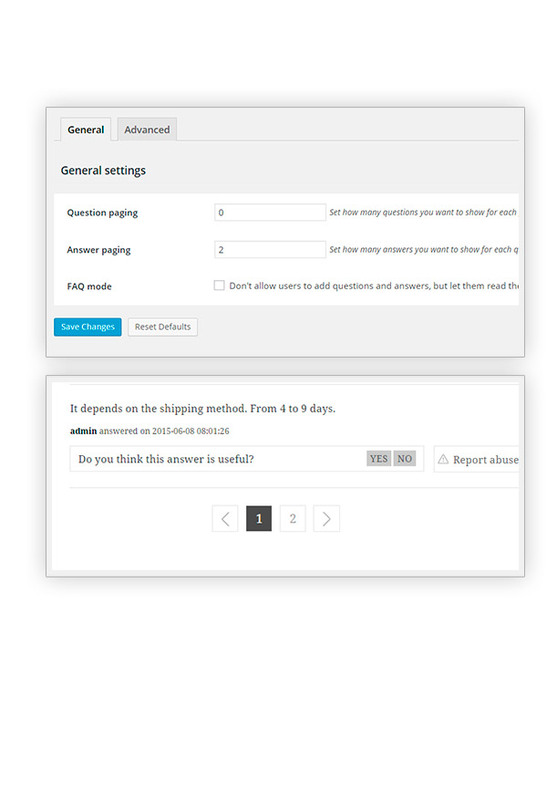 New: option to set label for the tab "Questions & Answers"
New: option to set title for the section "Questions & Answers"
Update: allow users to receive a notification when an answer to their question is submitted. 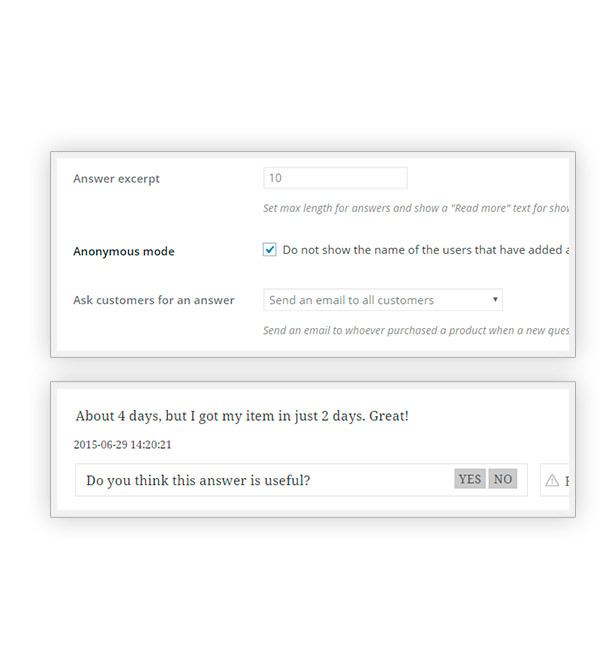 Fix: 'back to questions' link not working due to missing product id. Fix: avoid showing duplicated reCaptcha element. 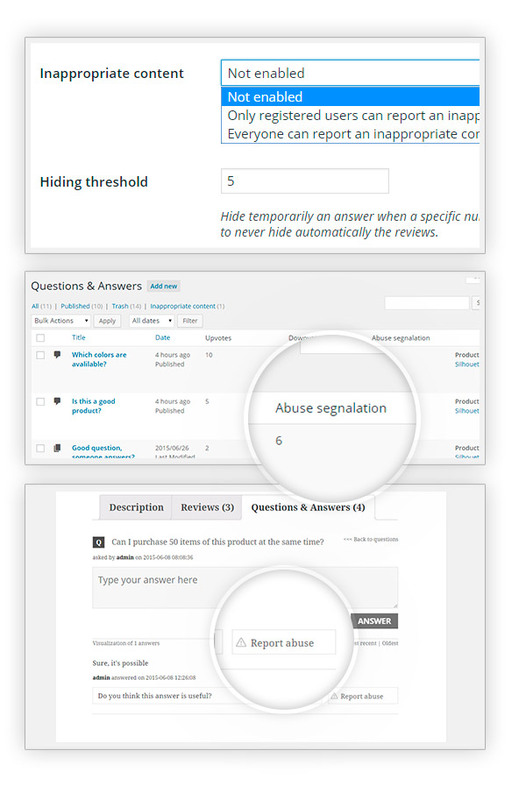 Fix: do not show product link in Q&A table, if the product is deleted. 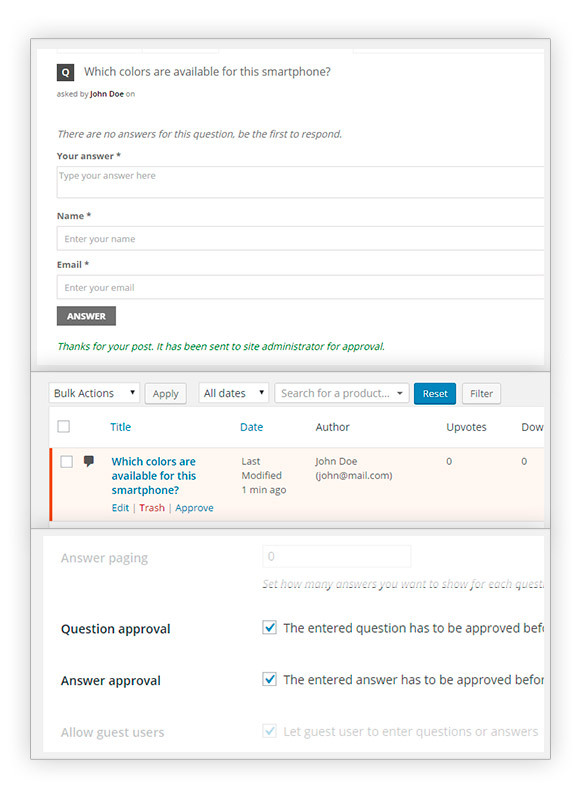 Added: CSS class for highlighting unapproved content on Questions & Answers back end table. 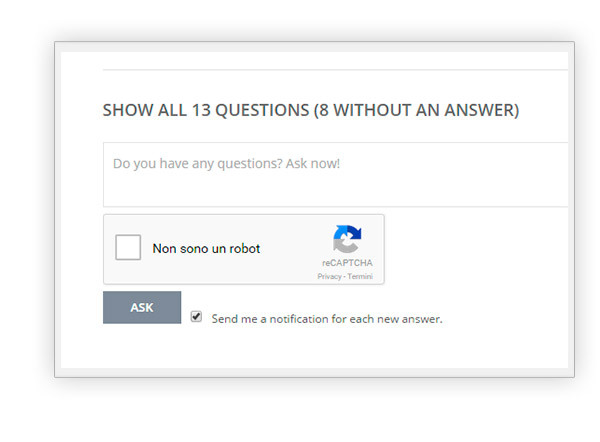 Added: optional "No CAPTCHA reCAPTCHA" system to submit questions and answers. Added : user interface improved. Thanks to a controlled paging to keep stable your product page layout. Using Google's captcha system, the No CAPTCHA reCAPTCHA. Very convenient solutionNice plugin, with the new update I can now override the generated email templates from my theme! 100% effectiveI use it integrated with Email Templates and it works like a charm, I recommend it! It all depends on how the custom tab is implemented. 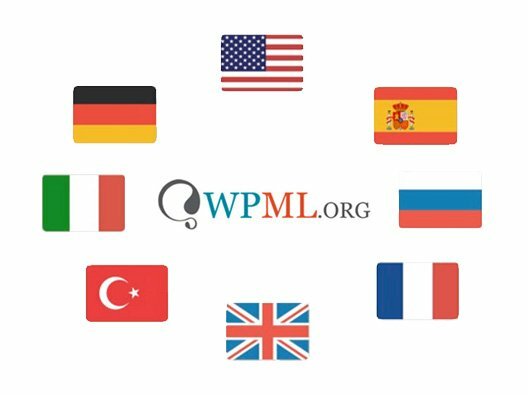 However we think that it should be possible, after you buy the plugin, the developers will be able to help you out via support ticket here. Unfortunately, at the moment it's not possible. We will study the possibility of adding this feature in the future. 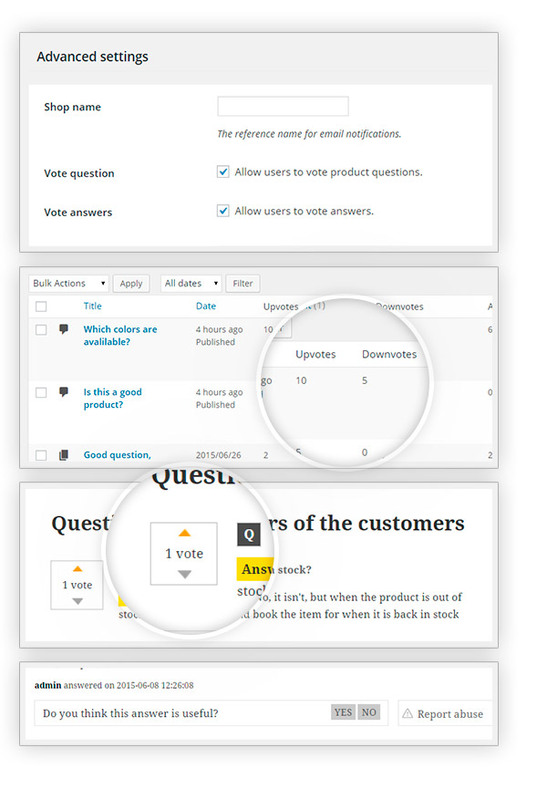 you cannot limit answers to the administrator only, but you can enable a review system for all answers and reply, so the admin can check any new question and/or reply before it is shown on the page. About the shortcode, there is a shortcode but you can use only on product page, not in other sections of the plugin. I'm sorry about that. About making questions private, I'm sorry, there's no way to show them to some users only. The plugin does not include this feature, this has to be customized by a external developer. We often recommend the developers of Codeable in this case. They have proven to be good, professional and know our products well. 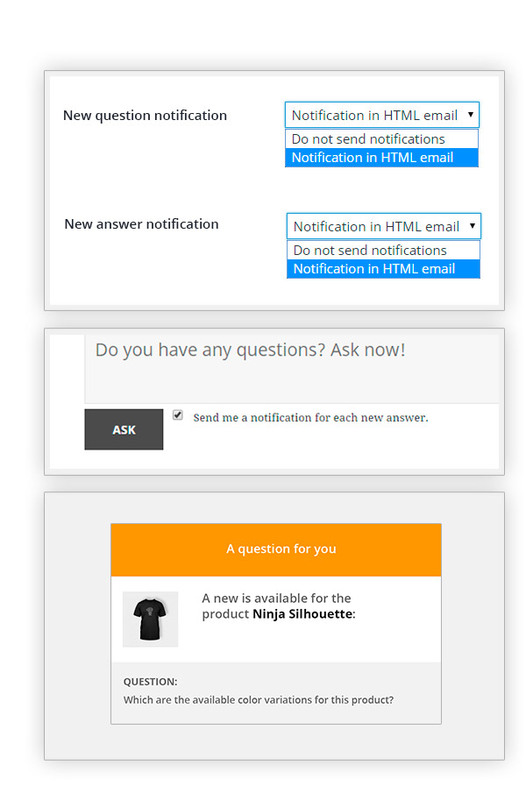 in the premium version, you will be able to see this message when there are no questions: "There are no questions yet, be the first to ask something for this product". 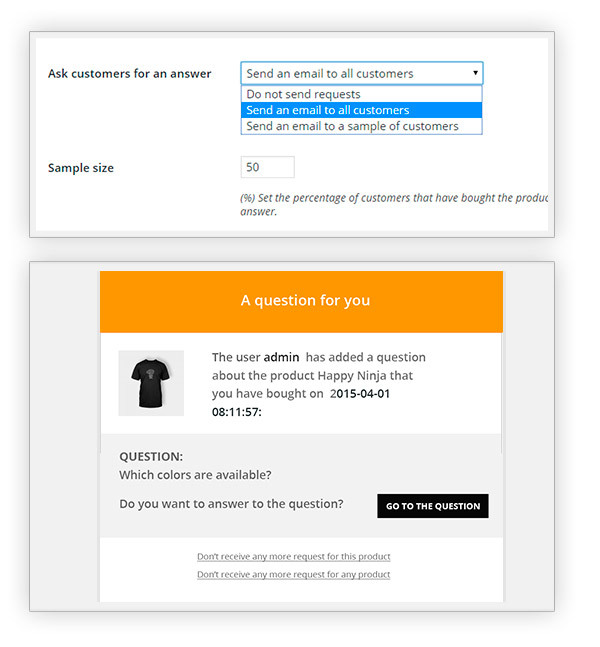 To see how this looks like, you can test the live demo: create a new product and see how the Q&A page appears.